While the world number one ranking is technically up for grabs at the US Open, it is unlikely that the only person who mathematically could challenge Rafael Nadal will knock him out of the top spot. Last year at the US Open, Rafael Nadal and Roger Federer were a match away from their first-ever one-match showdown with the number one ranking on the line. It was a missed opportunity as, despite the number one ranking being on the line once again this year and Nadal and Federer trading the number one ranking six times since, there is no chance of a match with the top spot up for grabs at this year’s US Open. In fact, the odds of any but Rafael Nadal holding the number one ranking come September 10th, when the post-US Open rankings come out, are very slim. Here’s how the battle for number one could play out in New York. The current world number one has spent 45 of the last 53 weeks at the top and has created a massive separation between himself and the rest of the tour. Nadal currently has a 2960-point lead over the next player in the rankings, that being Federer at number two. The lead is 4540 points over number three Juan Martin del Potro. The Spaniard has twice as many points as number four Alexander Zverev and all those behind him. 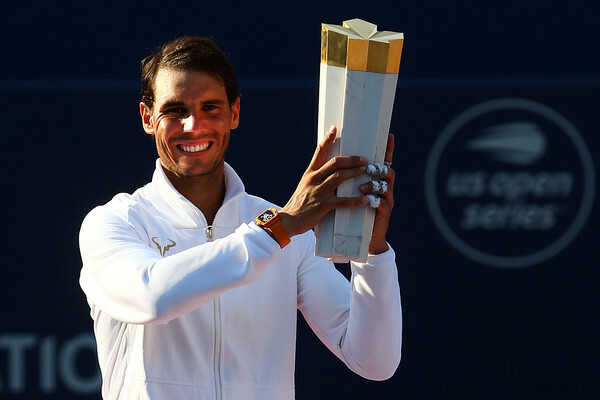 Nadal is the defending champion at the US Open, meaning he cannot gain any points over the upcoming fortnight. However, even once the points from last year’s events drop, he will still have a lead of 1320 points over Federer and a lead of over 2000 points, the number of points earned by winning the title, over everyone else. That means there is only one person on the tour who can take over the number one ranking in New York: Roger Federer. 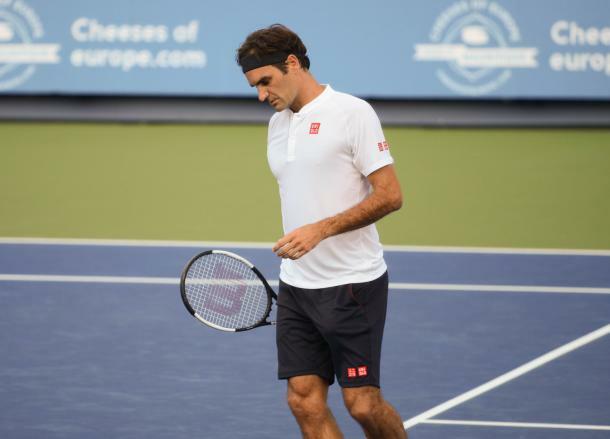 Roger Federer has no control over his number one destiny in New York, as he will need help from someone in the top quarter of the draw if he wants to retake the top spot. For the second major in a row, there is only one result that gives the Swiss a chance of reaching number one. Anything less than a title will not suffice for Federer. Before taking Nadal’s result into a count, the Swiss trails the world number one by 1320 points. The runner-up only earns 1200, so Federer will need the full 2000 to have a chance. Back at Wimbledon, Federer also needed to win the title to have a chance of becoming number one. He fell in the quarterfinals, although Nadal had already guaranteed that he would hold the top spot by reaching the fourth round. The Swiss will need to be better in New York. There are numerous challenges threatening to derail Federer’s dream. First, history is against him. The Swiss has not reached a US Open final since 2015, where he lost in four sets in Novak Djokovic. His last title in New York came a decade ago in 2008, the last of his five in a row. Beyond history, the Swiss has a brutal draw. Assuming the seedings hold, he will meet Djokovic in the quarterfinals. The Serb just beat Federer in the Cincinnati final last week. Fourth seed Alexander Zverev and 2014 US Open champion Marin Cilic are potential semifinal opponents. While Federer certainly could get the job done, he’s going to need to be perfect. Nothing less will do. The odds are good for Nadal to retain his top spot at the US Open, albeit slightly tougher than Wimbledon. There, he only needed to reach the fourth round. In New York, he will guarantee the number one ranking by reaching the semifinals. If Nadal loses in the quarterfinals or earlier, he could remain number one if Federer fails to win the title. The only scenario in which the Spaniard loses the top spot is if Federer wins the title and he falls before the semifinals. He could withdraw from the tournament, forfeiting all 2000 of his points, but would stay at number one if Federer lost at any point in the tournament. While reaching the semifinals of a Grand Slam is never easy, there are a lot of signs indicating the potential for a strong run from the Spaniard. On top of being the defending champion, Nadal has reached the semifinals or better in six of his last eight appearances in New York, winning three titles which makes it his second most successful major (after the French Open, of course). The Spaniard is also in great form. He has reached the quarterfinals or better of every event he has played this year and has won three of the last four events he played, including another major title at the French Open. His last tournament was the hard court Masters 1000 event in Toronto, which he won in emphatic fashion. He also reached the semifinals of Wimbledon for the first time since 2011. His draw at the US Open also bodes well. He avoided the largest potential quarterfinal threat in the form of Djokovic. Instead, he could have a rematch of last year’s title match against Kevin Anderson, which he won in straight sets, in the quarterfinals. Nadal can’t face a top-ten opponent until the quarterfinals and the highest ranked player he could meet before the quarters is 16th seed Kyle Edmund. 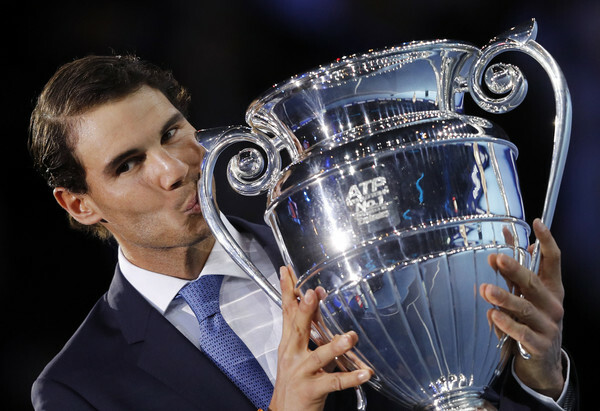 Combining all these factors together, Nadal’s form and easy draw along with Federer’s brutal draw and the necessity of a title for the Swiss, all signs point to Rafael Nadal remaining at number one following the US Open.